It's fast so you don't waste profitable time between classes. Create packages to save time at the front counter. See automatic order list to keep organized. Use order reconcile list to make sure everything was delivered that you ordered. Track sales tax, even multiple sax tax charges. Easy to add discounts for special groups and specials. See every purchase, every transaction, every payment ever made in one place, so you can really know what a student is worth to the bottom line. Why is that important? It helps you determine exactly what you can spend to get a new student and that's powerful knowledge when you're a RainMaker. Creating packages makes it faster and easier to process purchases for your members. RainMaker will create an order list based on point of sale purchases not in stock. Sales reports, track sales tax and more. Let your members buy gift cards and RainMaker will track the balances. 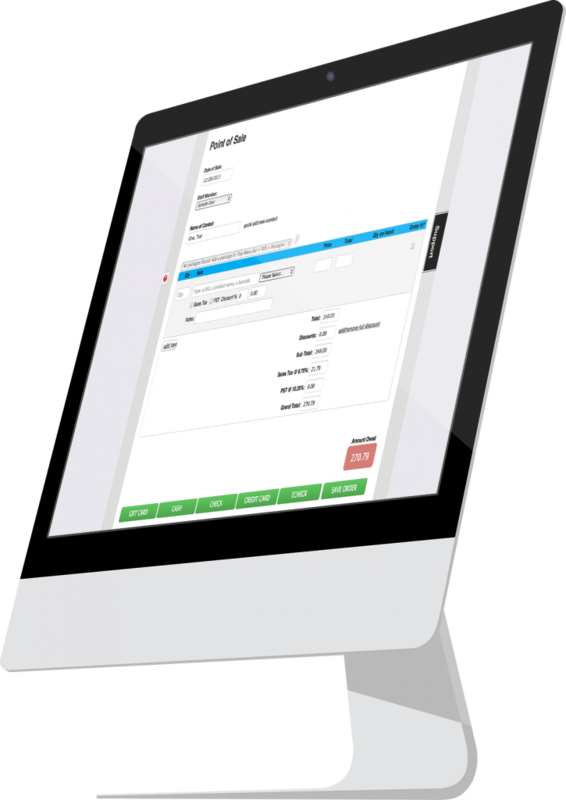 Tracking inventory is simple with Point of Sale. This is a great financial control to manage the bottom line. Print price tags to scan and automatically enter info into point of sale. Need to add a discount to a purchase? It’s easy with RainMaker. You can enter an amount or even a percentage.